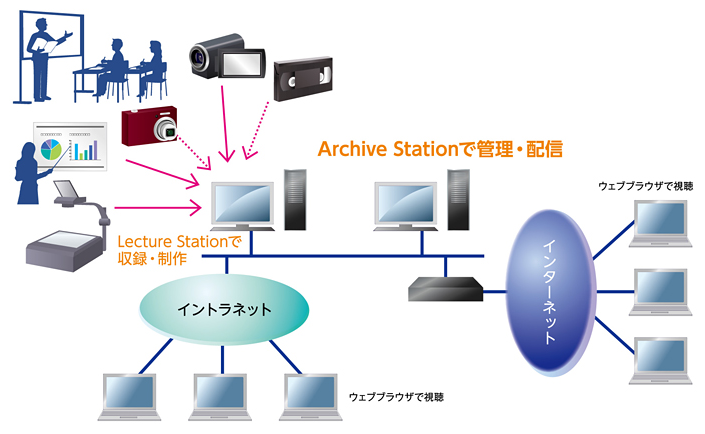 The Archive Station offers a comprehensive solution for compiling databases for various types of distributable videos and for administering network VOD (video on demand) service, thereby combining viewers and copyright management functions. By adopting this method, the client can form a network news streaming system that is easy to manage. Furthermore, the internet streaming stations and video-intensive learning systems can be formed in a short period of time and at low costs.